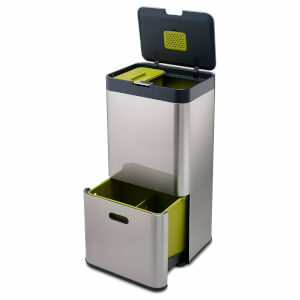 The Totem Waste and Recycling Unit from Joseph Joseph will house your waste and recycling bins in one smart and compact unit. 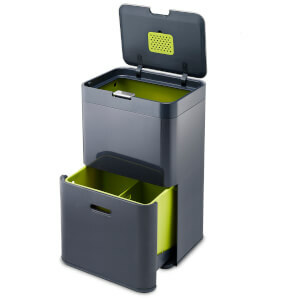 The versatile separation bin has a 24L general waste compartment and a multi-purpose drawer with a divider so you can select how to use it to best suit your household needs. 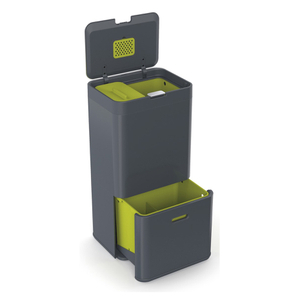 With removable inner buckets that take custom fit liners, the buckets boast liner-retaining holes, breathing vents and carrier bag hooks. 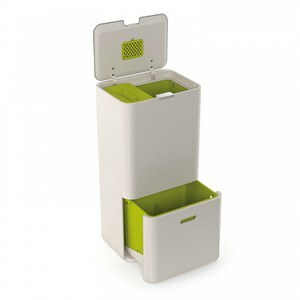 A fingerprint proof stainless steel lid has an odour filter and a powder coated steel body.